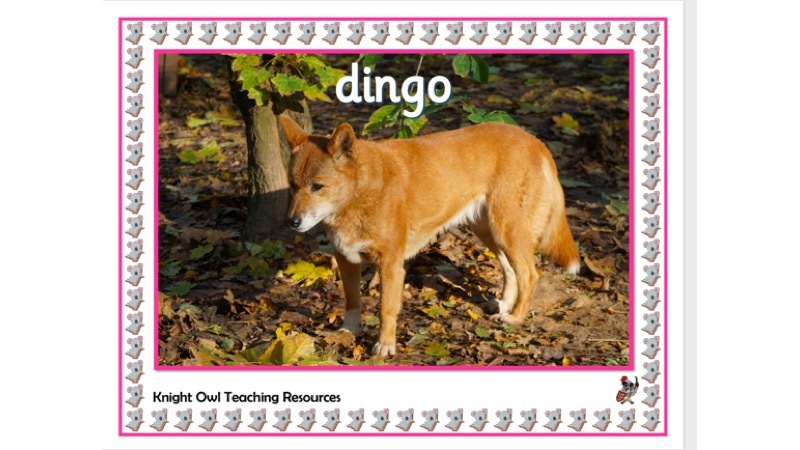 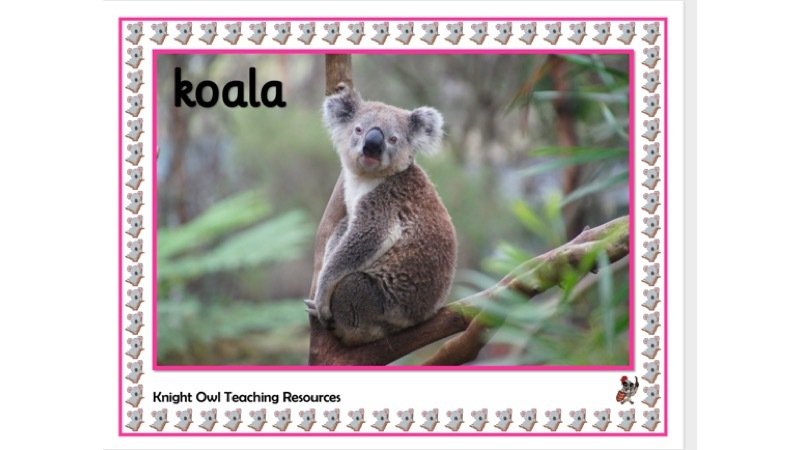 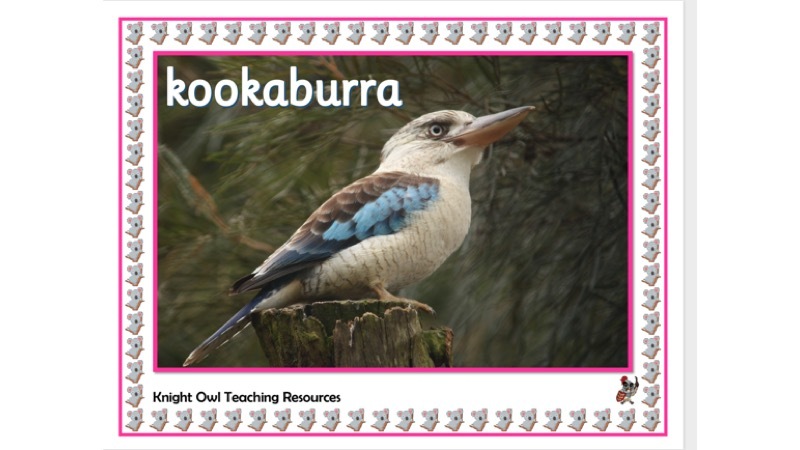 Animals of Australia posters for creating a classroom display. 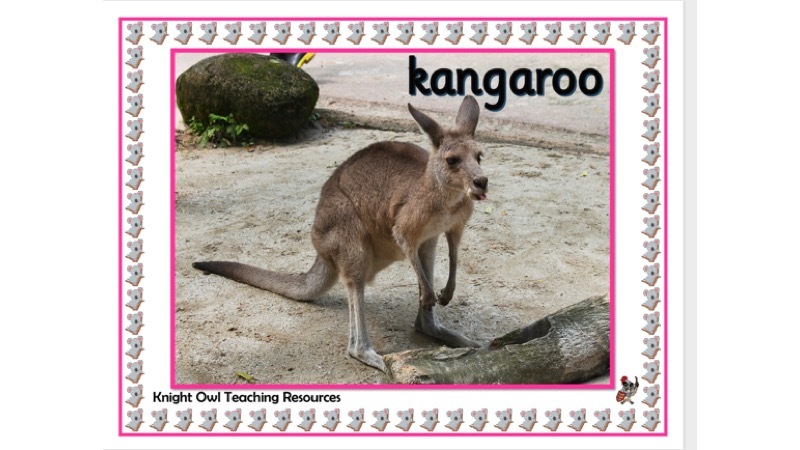 Twelve A4 posters showing some of the animals that live in Australia. 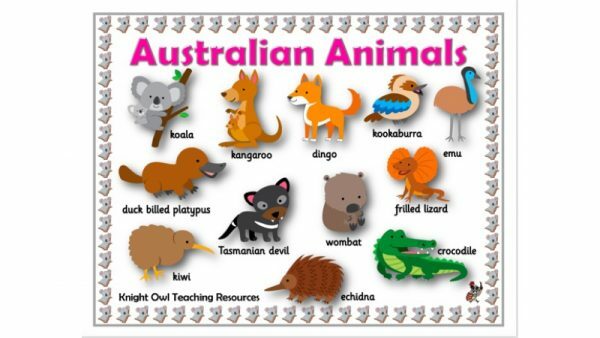 A word mat showing Australian animals to support children in their writing.